The Grasso family has been producing wine since 1927, but Federico Grasso only started bottling in 1980, and has “produced a bevy of sensational efforts over recent vintages” (Wine Advocate). His sophisticated, modern Barolos are particularly notable for avoiding excessive wood aromas; to this end, Grasso prefers to use large barrels rather than barriques for maturation, and uses less than 30% new wood even on his single-vineyard bottlings. 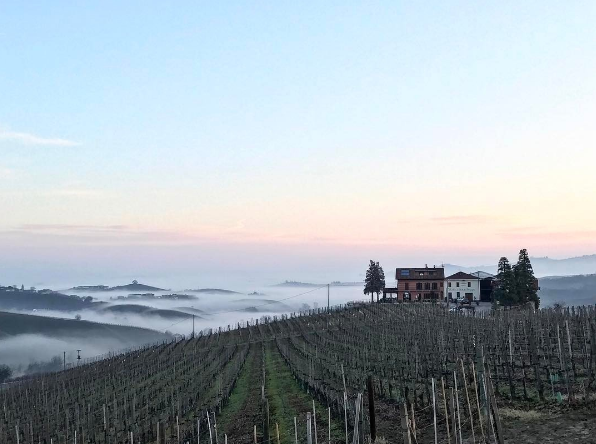 The “Bricco Luciani”, which is located just above the “Gancia” vineyard, is soft, generous, classic La Morra, while the “Ciabot Manzoni” was described as “Godzilla-like” by the Wine Advocate, “multidimensional, compelling/prodigious… gigantic in scope and stature.”Dolcetto and Langhe Nebbiolo also exhibit exceptional lushness and ripeness, with superb purity of flavors and aromas, without wood aging. Vineyard Management: At the estate “natural agriculture” is carried out. Integrated insect and disease control is carried out. Sulfur-and copper-based products are used. Only organic fertilizers are used (the Insieme Group financed a cattle farm also for the production of manure). Spontaneous cover crops (sometimes specific crops are sown) are left between the rows of vines, the grass is mowed and the soil is occasionally tilled (the turf is mainly left in place). Very careful use of SO2 in the wines.